The opening of the exhibition "Facce. I molti volti della storia umana" will soon take place in Padua (14th February 2015), so I started to work also on dissemination tools, trying to focus on new media potentialities. While the real communication experts will take care of the traditional promotion (posters, handbills, etc...), I would like to use the opportunity to test different methods. Basically I am just developing a digital poster, which should be an reminder of the exhibition (with some essential informations) and, at the same time, an interactive showcase for the photos that the people sent us (and will send us) for our crowdsourcing campaign regarding the pareidolia phenomenon. I think that the best way to realize this idea is to compile an app for Android, so that it will be accessible to many different smartphones. I designed the app to contain a WebViewer, linked to an address in our server, in which I uploaded an interactive gallery of images. My first step has been a fast search in internet to find all the tools I was needing to develop my app, of course checking the licenses and choosing the open source software (an the simplest ones, being a newcomer in such field). Than I looked for a software to develop my app and (thanks to +Michele Mazzurana) I came across another MIT licensed software, MIT App Inventor. 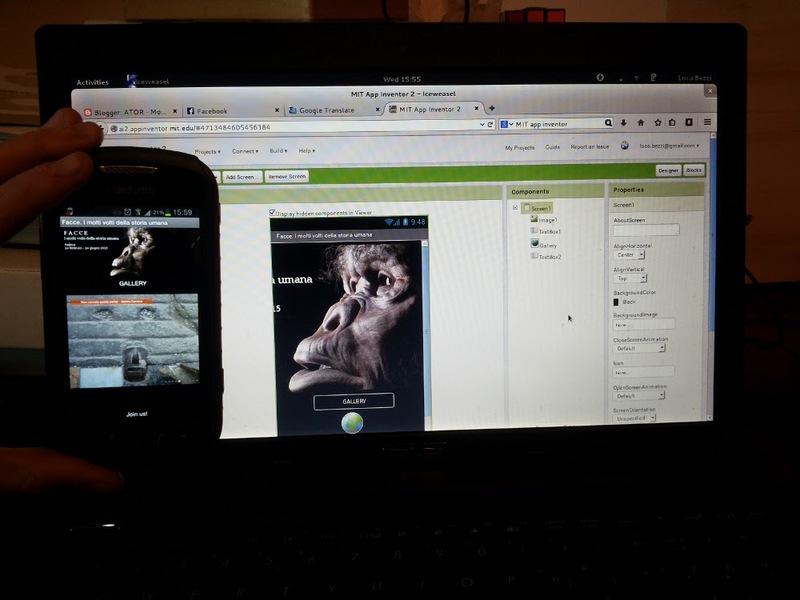 This software has two main advances: it is based a GUI (very simple) and it does not require an emulator to test the work (if you have an Android device, you can directly connect it with your project). If you want to test the app, you can download it here. Please notice that to visualize the gallery you will need an internet connection, so (depending on your contract) your provider could put additional costs (no problem if you have a flat rate or if you use free wifi access). If you have pictures regarding the pareidolia effect, you can upload them on the FaceBook page of the exhibiotn "Facce" (do not forget to write the author, the title and the license, for the credits). Day by day the pictures will be uploaded in the gallery of the app. since last year we are working on the preparation of the open source exhibition "FACCE. I molti volti della storia umana" (here some news in ATOR: 1, 2 and here the official page and the FB page). Of course all the software we are using are Free and Open (FLOSS), but for some particular exhibits, we are working also with open hardware. Our interest in this specific topic dates back to 2006, when we started investigating the potentialities of open hardware in archeology, especially in the field of aerial photography e rapid prototyping. We get the first results in 2008, with our UAVP prototype (here some news from ATOR: 1, 2) an all the other UAV we built (KK, etc...). 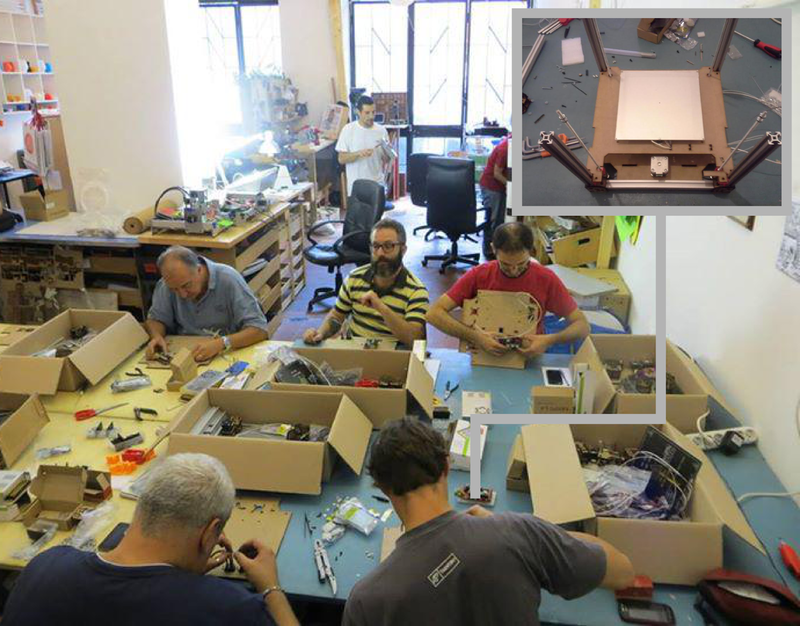 ... and we build our own device from the scratch, a Fa)(a 3D, thanks to +Giacomo Falaschi and +silvio tassinari , of Roma Makers. 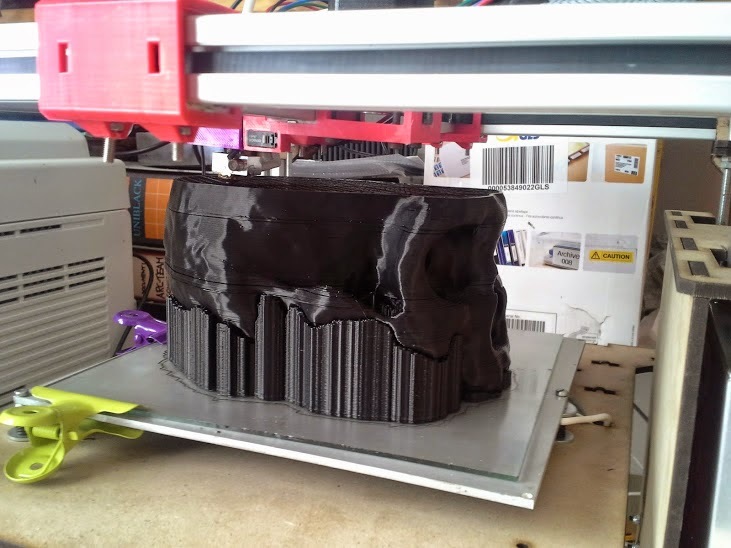 Building the Fa)(a 3D at Roma Makers lab. One of the main issue in 3D printing for Cultural Heritage is to replicate an object in the right scale (otherwise you will just print a souvenir) and this is why it is very important to know how to perform a 3D scan, but also how to post-process your data ( (in ATOR you will find a lot of informations about this), in order to send the right file to the machine. 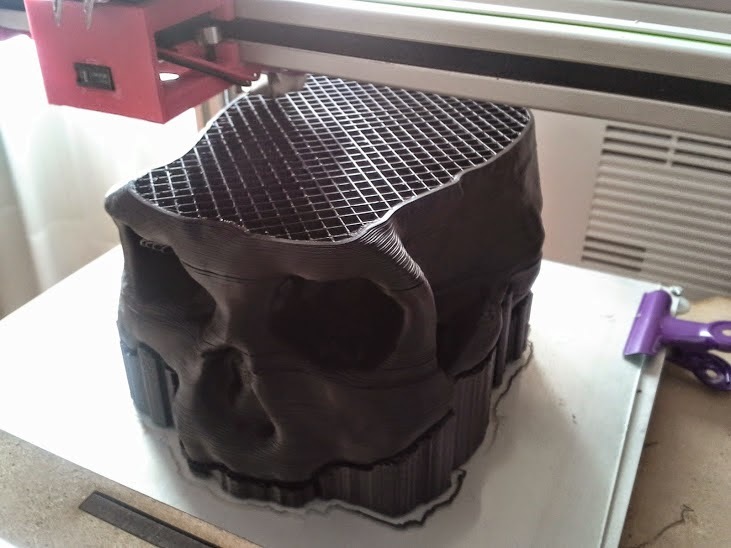 Here are some example of the models we are printing for the exhibition (scale 1:1): some 3D skulls of hominids (different individuals of Homo georgicus) we were able to scan, tanks to the kindness of Prof. David Lordkipanidze, during our mission to Tiblisi and Dmanisi. We will use them to prepare some Augmented Reality interactive exhibits related to paleoart. I hope this tutorila will be useful and that someone will join us in packaging for ArcheOS Theodoric. I finally found a little bit of time to work on ArcheOS 5 (codename Theodoric). As some of you know, one of our main goal for this version was to add all the software as source packages (instead of binary packages), in order to avoid problems in maintaining different hardware versions (source packages can be compiled by the Operating System independently on 32 bit or 64 bit machine without the necessity to prepare different binary packages). Thanks to the effort of +Fabrizio Furnari (system engineer) and +Romain Janvier (archaeologist and IT expert) we reached a good version of ArcheOS, with a lot of software already packaged in source version. If someone is interested in testing the state of the art of ArcheOS 5, he/she can visit the GitHub page and follow the instructions to build an updated ArcheOS 5 iso image. Despite this, a lot of work is still to be done to implement all the necessary software and this is the reason why I proposed, on the developer mailing list, to go on with binary packaging to speed up a final iso release ArcheOS Theodoric. Today I started with a first package: OpenJUMP. I chose this software because during our last excavation we noticed that it is still an useful application, especially for 2D photogrammetric documentation of wall prospects and archaeological sections. I think that ArchaoSection (developed by the +Denis Francisci , archaeologist and GIS expert) could be a good replacement of OpenJUMP for this operations, but to tell the truth I did not have yet the time to test it. I will record ASAP a videotutorial regarding this topic. By now I share here the new package, in the hope that someone will help me to test it for Debian Wheeze (ArcheOS), so that later it will be uploaded into Theodoric's repository. Due to the fact that I am a little bit rusty in packaging, the software has to be considered as experimental. 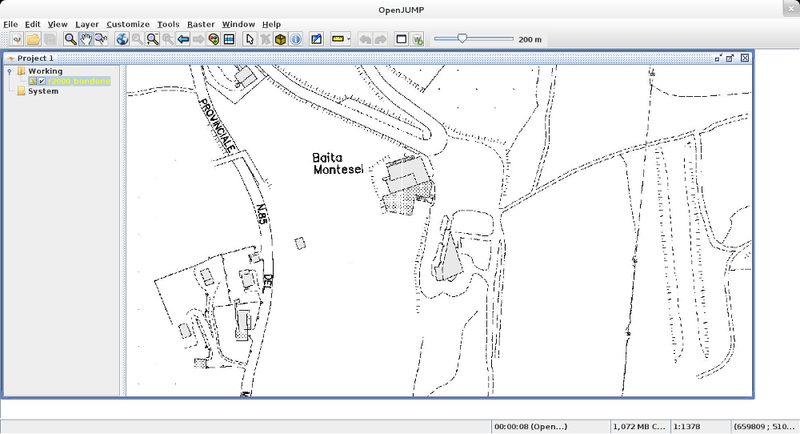 For the next future I plan to work on packaging the software VTP (Virtual Terrain Prject) with @Bob Max's script to connect it with QGIS (in order to grant a good 3D visualization system in QGIS) and to RGBDemo (due to the feedbacks @Leonardo Zampi wrote about it). This post will present a new videotutorial for ArcheOS 5 (codename Theodoric), regarding the software OpenJUMP. Like for this other article, also in this case I chose to use a real project, to show the potentialities of ArcheOS in different archaeological missions. The main objective of the work was the inspection of an high mountain area (more than 3000 meters above the sea level), in order to verify the possible presence of historical remains connected with the World War I. One of my specific needs to prepare the mission was the setting of a GIS system, updating a geological vector map of the whole province in which I was operating. Luckily this province (Trentino) is at the forefront (in Italy) for the distribution and use of geographical open data, so I had no problems in finding the base map I mentioned before; the main work has been the updating of the database, connected with the vector layer, in which I had to insert some additional informations that were stored in an external spreadsheet. This videotutorial shows the main operations. I hope it will be usefull for you. As usual I uploaded it also in the DADP wiki.